As our recent worst industrial fires and worst nuclear disasters posts showed, when occupational disasters strike, they can be devastating. While fortunately accident statistics broadly show a decline in workplace deaths in the UK, many thousands of workers still die in accidents around the world every year, reminding us both how far we’ve come as a country, and how far we still need to travel as a planet. In this post we take a look at some of the worst workplace disaster to take place since the turn of the 20th century, from which many lessons should be learned. 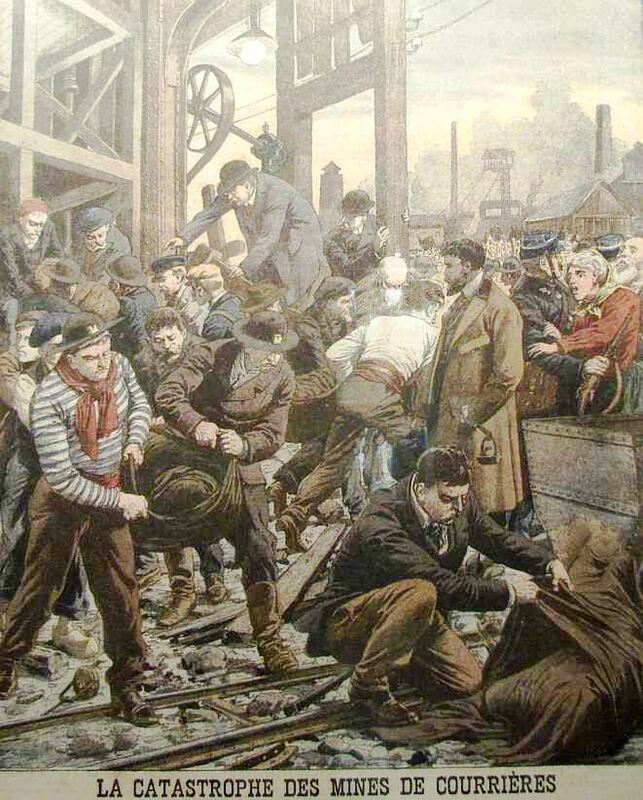 The Courrières mine disaster, which took place in northern France on March 10, 1906, has the unwelcome distinction of being Europe’s worst mining accident. The incident occurred when an explosion of coal dust swept through a coal mine, killing 1,099 miners, including many children. While the exact causes of the explosion remain unknown, it has been hypothesised that it may have been caused by the mishandling of mining explosives or by the ignition of methane by the naked flame of a miner’s lamp. Regardless of the cause, the accident brought the issue of dangerous mining practice to public attention, resulting in a regional strike and widespread appeals which raised 750,000 francs, a fortune at the time. In reality, however, little changed in terms of laws protecting workers. Another mining tragedy, this time taking place at the Benxihu Colliery in Liaoning, China. On April 26, 1942 there was a large coal-dust explosion in the mine, causing the Japanese owners to seal the entrance in an attempt to control the rapidly spreading fire. Their actions resulted in many workers being trapped underground, most of whom suffocated in the smoke. While the accident was initially downplayed in the Chinese media, the final death toll was believed to stand at 1,549 people – making it the worst mining accident of all time and the second worst industrial accident ever. Perhaps the most infamous industrial accident of the 21st century – and certainly the deadliest – the Bhopal disaster took place on the night of December 2-3, 1984 at the Union Carbide India Limited (UCIL) pesticide plant in Bhopal, India. An overnight leak resulted in the release of an enormous cloud of toxic gas, including methyl isocyanate (MIC) gas and other gases (such as phosgene – the same gas responsible for 85% of the 100,000 chemical warfare related deaths in WWI). This deadly cloud swept over the local community – largely made up of poor people living in shantytowns next to the plant – exposing 500,000 people to the deadly chemicals. Official numbers claimed 3,787 people died overnight, though others have estimated the death toll could be as high as 8,000, with a further 8,000 dying in the aftermath of the incident. The tragedy had far-reaching consequences for both the chemical industry and for corporate responsibility in general, with seven former employees of UCIL eventually being fined and sentenced to two years’ imprisonment in 2010 for causing death by negligence. Considered the worst accidental structural failure in modern human history, this tragic accident made headlines around the world. 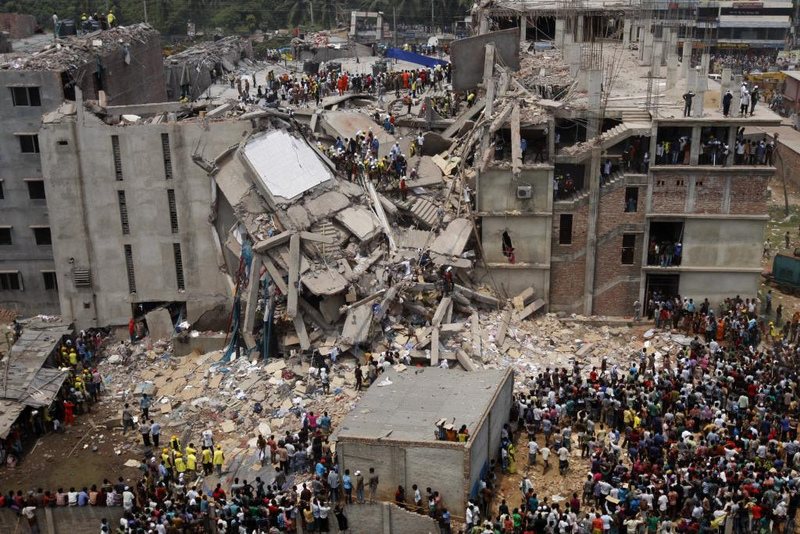 On April 24, 2013, Rana Plaza, an eight-story building containing a clothing factory, bank, apartments and other shops collapsed, killing 1,129 people and injuring many more. Despite prior warnings that the building was unsafe (it had apparently been evacuated the day before when cracks appeared in the walls), factory workers were allegedly ordered to return to work after being threatened they would lose a month’s pay if they stayed away. The incident provoked an outcry from the international community and led to widespread conversations about corporate social responsibility across globalised supply chains – particularly in the fashion industry, which was accused of putting profits above worker safety. Legal proceedings are continuing. If the above examples teach us anything, it’s that when catastrophic accidents occur, they cause unbeliveable destruction. In order to ensure we come home to our loved ones at the end of each day, it’s vital we remain vigilant, engage our employees and offer the highest quality training available. Only by striving for the very highest standards, will we banish the spectre of workplace deaths to the history books once and for all and make sure that no child has to face the pain and uncertainty of saying goodbye to their parents in the morning without knowing if they’ll come home at the end of the day.